At Southville Petroleum we respect and are committed to protecting your privacy. We do not collect personally identifiable information about you through our website unless you voluntarily provide it. However, we automatically receive and record information on our server logs from your browser, including your IP address, cookie information and the page(s) you visited. Southville Petroleum will not sell your personally identifiable information to anyone. At any time, you may opt out of providing such personally identifiable information by simply not providing it or by discontinuing your use of the Southville Petroleum website. 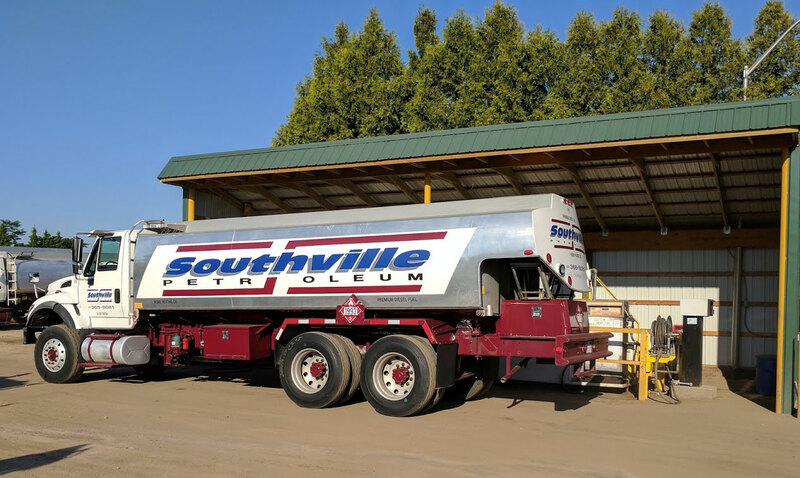 help you quickly find and/or receive information about Southville Petroleum. In some cases, we may contact you to let you know about new products or services. If you do not wish to be contacted by us for this purpose, you may provide this request by contacting us. Transferring such information to Southville Petroleum’ affiliates and subsidiaries, unless such transfer is prohibited by law. Making such information available to third parties who are providing services to Southville Petroleum or its subsidiaries or affiliates (e.g., providing such information to third parties performing computer-related services for Southville Petroleum or its affiliates (but never your password)). Disclosing such information is allowed by law or our legal counsel forms a good-faith belief that such disclosure is required by federal or state law, subpoena or court order. By providing personally identifiable information, you expressly consent to these privacy practices. Also, Southville Petroleum reserves the right to share any aggregated information (i.e., nonpersonally identifiable information) with any third parties for any reason, unless prohibited by law. Southville Petroleum uses the highest available industry-standard practices to protect your personally identifiable information from loss, misuse, alteration and destruction. Your payment and personal information is always safe. Our Secure Sockets Layer (SSL) software is the industry standard and among the best software available today for secure, commerce transactions. It encrypts all of your personal information, including credit card number, name, and address, so that it cannot be read over the Internet. However, no security system is completely fail safe, and Southville Petroleum cannot guarantee the information you provide will never be obtained by unauthorized persons. The yellow lock at the bottom right-hand corner of a Web page indicates that a user is on a secured site. In some areas of our website, we require a user ID and password for you to access certain information. Southville Petroleum will not disclose such password to third parties; however, you are responsible for maintaining the privacy and security of your password. If you wish to obtain a copy of the personally identifiable information that we have obtained from you through your use of this site, or you believe that we have personally identifiable information about you that is in error or you wish to delete any personally identifiable information that we have obtained from you through your use of our site, please contact us.